Original Passport With 2 blank pages of your passport validity must be more than 6 month. Original and photo copy of Japanese residence card for foreigner validity must be more than 6 month. Four recent passport photographs 4cm x 5cm size of with white background. The face must cover at least 70 to 80% of the space. Letter of Guarantee from your company if you are student in Japan from your university. Must be in English. Marriage certificate for the couples, if traveling with wife or family. Must be Attested by your Embassy In Japan. (original & photo copy at A4 size page) for more information please call us. If you're married with Japanese original Koseki Tohon. With English translate Conversion certificate for Japanese Muslims must be attested by ministry of foreign affairs Japan. 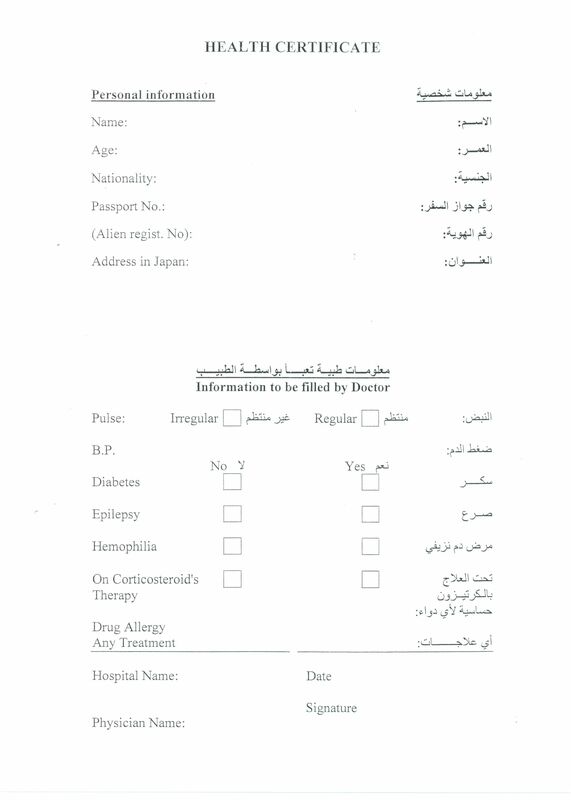 Converstion certificate for Japanese Muslims Must be in English (Original & copy). Must come to Tokyo for fingerprint at Saudi Visa Canter at Tamachi Station by Keihen Tohok Line. Mian International Travel (since 1993) is a full-service travel company. Our reputation for excellence is earned through our experienced staff and our services to our customers by providing the ultimate in value and personal attention. © 2018 - Mian International Travel. Powered by COMPRO - Updated on 15 April 2018.